"He is one of the brightest financial crime lawyers in this country. He leaves no stone unturned, has a phenomenal brain and has done some really fantastic international work." 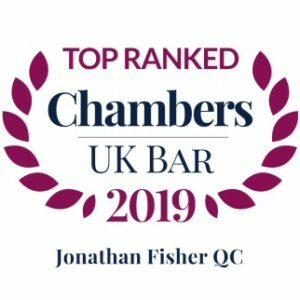 Jonathan Fisher QC is ranked as a leading barrister in Band 1 for Financial Crime and Proceeds of Crime cases by the internationally recognised law directory, Chambers & Partners UK. He is also ranked in the legal directories as a leading barrister for financial services, fraud (civil), fraud (criminal) and tax cases. With extensive experience in civil, criminal and regulatory cases, Jonathan has particular expertise in the areas of bribery and corruption, economic sanctions, financial services, fraud, money laundering and proceeds of crime, and tax disputes. Much of Jonathan’s work involves cross-border transactions, offshore companies and trusts. 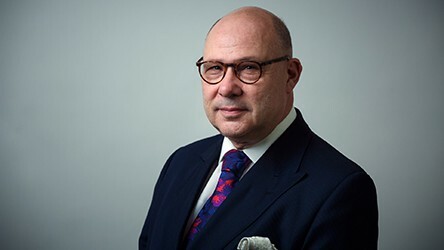 He has represented defendants and prosecution authorities in many serious or complex criminal and civil trials, and recent advisory work includes cases connected with the disclosure of the Panama Papers and the Paradise Papers. In addition, Jonathan is experienced in pharmacy-related and professional disciplinary cases, and unusually, Peerage claims. Authorised to accept Public Access cases, with the Right to Conduct Litigation. SEC v Manterfield  1 WLR 172 (fraud: hedge fund alleged investment fraud, crossborder freezing order). Advising on the application of Libyan economic sanctions and the continuing validity of licences obtained from HM Treasury. Tax Fraud, Arlidge & Parry on Fraud, Thomson Sweet & Maxwell. The vulnerability of HMRC to penetration by criminal actors  Journal of Money Laundering Control 153. General Editor of Lloyds Law Reports: Financial Crime; Editorial Board Member, Simon’s Taxes; Visiting Professor in Practice, Law Department, London School of Economics. Honorary Visiting Professor, City Law School (City University London).